This is the first release in a series of deluxe 2CD re-issues of Cilla Black’s original albums that celebrate 55 years since her recording debut. 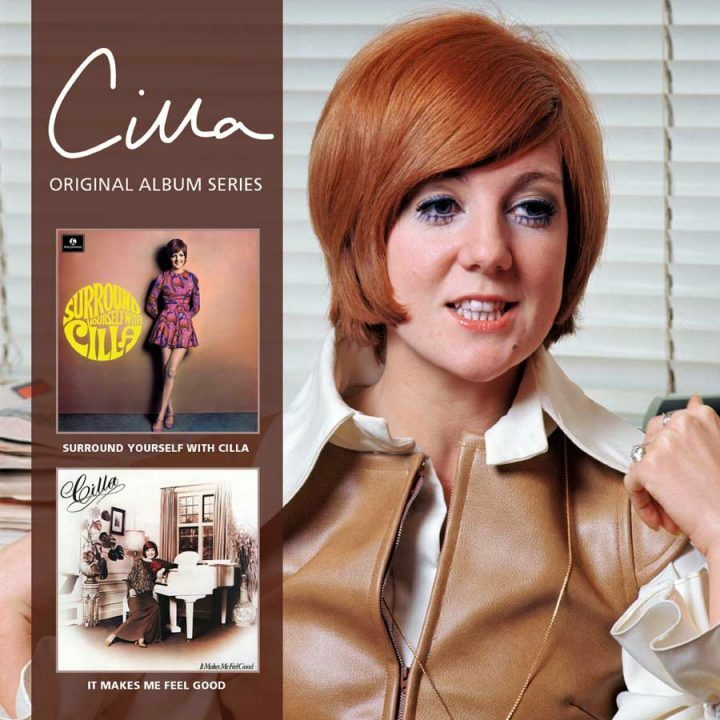 To showcase Cilla’s versatility as a recording artist, this set pairs her “Surround Yourself With Cilla” album, one of her top pop productions of the sixties, with “It Makes Me Feel Good” from her seventies soft rock recording era. The latter album is released for the very first time, in complete form, on CD. The lead single from Cilla’s classic George Martin produced 1969 album, “Surround Yourself With Cilla”, was the UK #3 hit ‘Surround Yourself With Sorrow’, with its powerful pop theme continuing apace throughout the album. To great impact, Cilla took on some of the strongest pop anthems of the day which included the Gibb Brothers’ ‘Words’ (Bee Gees), Bacharach & David’s ‘You’ll Never Get To Heaven’ (Dionne Warwick), Nilsson’s ‘Without Him’, Paul Simon & Bruce Woodley’s ‘Red Rubber Ball’ (The Cyrkle) and the dramatic ‘Aquarius’ from Cilla’s favourite musical “Hair”. Another highlight of the album is the fan favourite ‘Liverpool Lullaby’ ; a fine example of Cilla using her expressive softer voice to great emotive impact! Her ninth studio album, “It Makes Me Feel Good”, was released in 1976 and was Cilla’s second album to be produced by David Mackay who had previously worked with The New Seekers, Blue Mink and Cliff Richard. Recording sessions began in Los Angeles away from the pressure of Cilla’s hectic British TV and concert schedule and this enabled Cilla to be more involved in the creative process than ever before. Four songs from those American recording sessions made the album’s finished cut: ‘Lovin’ Land’, ‘One Step From Your Arms’, ‘September Love Affair’ and Cilla’s rendition of the Phil Spector classic ‘To Know Him Is To Love Him’. The album’s only UK single, ‘I’ll Take A Tango’ was featured on Cilla’s BBC TV variety show Cilla. The bonus tracks for this CD release include Cilla’s US-only single ‘Fantasy’, which was a #15 hit on America’s Billboard Dance Music Singles Chart, alongside Cilla’s opening theme songs to her two new TV series for 1976; BBC TV’s Cilla and ITV’s sitcom Cilla’s World Of Comedy. ‘It Makes Me Feel Good’ remains one of her fans’ all-time favourite Cilla Black album releases. The two albums are issued on a 2-disc set with a 32 page booklet richly illustrated with photographs and including an interview with Cilla. 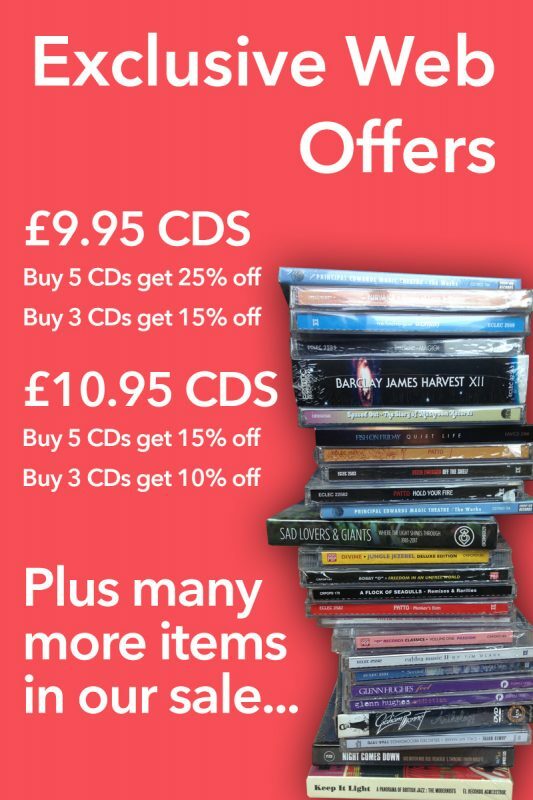 Her eldest son Robert Willis, the Executive Producer of this series of re-issues, has taken great care to ensure that these releases are the ultimate celebration of his Mother’s legacy as a British pop music icon.